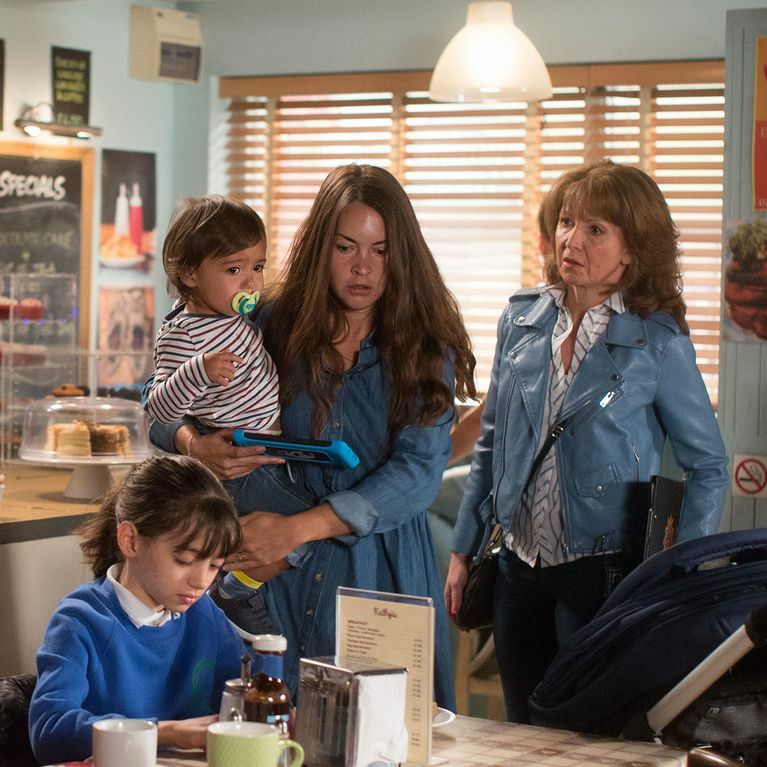 Eastenders Episode Guide - Monday 25th September. Michelle rants to Sharon about a persistent Tom after he sends her flowers despite her telling him to stay away. When he later turns up unannounced, a firm Michelle tells him she doesn’t have any feelings for him. However outside, Tom watches on. Back at the Mitchell’s, an ecstatic Dennis and Phil reveal they have a date for the adoption hearing. ​Karen and Keanu remain desperate to find money leading Karen to make a call in private. Later on, Bernadette returns home from school distraught.